On 20 March, the UN envoy to Libya, Ghassan Salame, announced that the UN National Conference will take place in Ghadames on 14-16 April and will be attended by 120-140 participants. The event is aimed at telling the international community: “Here is the opinion of Libya’s vast majority”. Salame said that he will ask the National Conference to determine the date of presidential and parliamentary elections and the manner in which they will be carried out and whether they will be held with each other or one after the other. He added that there will be a time limit for the presidential councils, deputies and the state to implement the outcomes of conference, and if this doesn’t happen then we will look for an alternative. He said that he has two or three proposals he intends to present at the conference but stressed that the outputs of the forum will be purely Libyan and that the role of the international community will be limited to support only. 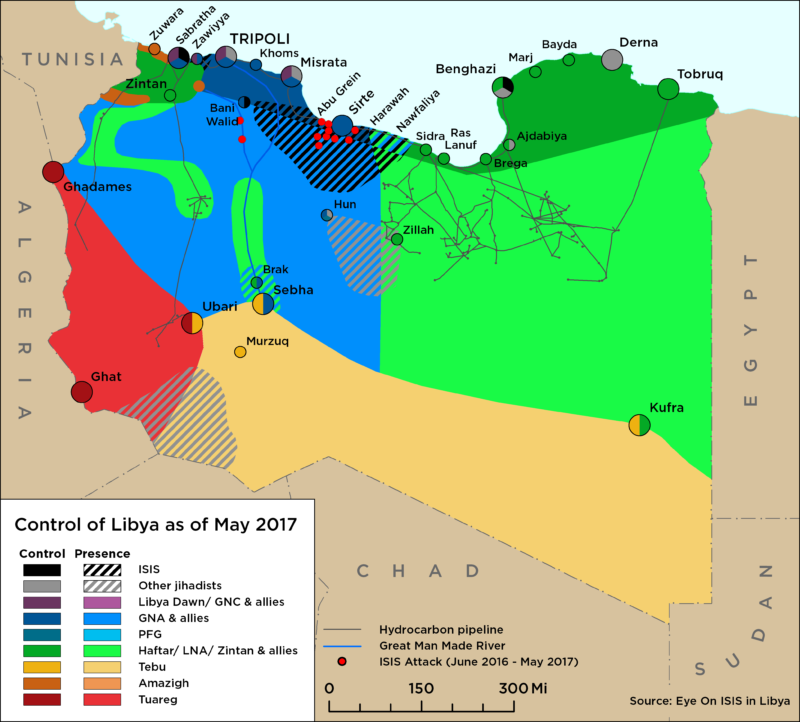 On 13 March, several ambassadors met with Government of National Accord (GNA) Prime Minister Fayez al-Serraj and members of the High Council of State (HCS) to give their approval to the vague ‘understandings’ reached between Serraj and Libyan National Army (LNA) head Khalifa Haftar in the UAE in late February. These included a commitment to end the transitional period, hold elections and unify institutions. On the same day, the UN’s Under-Secretary-General Rosemary DiCarlo and African Union Commissioner Smail Chergui also made shuttle visits to Serraj, the HCS and Haftar in Benghazi. On 16 March, Deputy UN Envoy Stephanie Williams made a landmark visit to the electoral district of Aziziyya, south-west of Tripoli, in an attempt to appease fears of alienation among these communities and secure their participation in the National Conference. 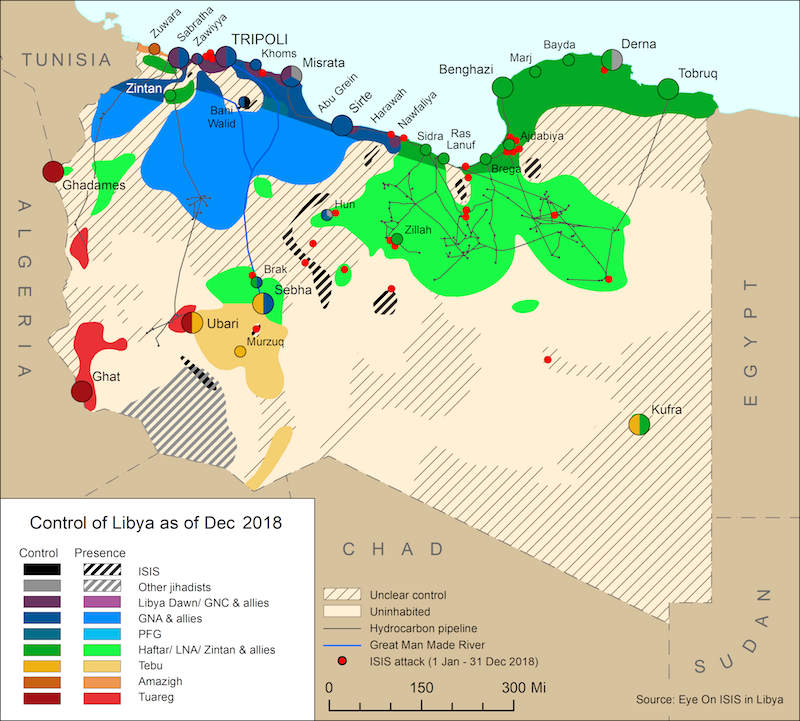 On 18 March, French Foreign Minister Jean-Yves Le Drian visited Tripoli and praised the “significant progress” made by Haftar in southern Libya, adding he hopes the Serraj-Haftar ‘agreement’ will be implemented quickly. On 19 March, US ambassador to Libya Peter Bodde and US AFRICOM commander Thomas Waldhauser flew into Tripoli to meet with Serraj. The meeting saw the us pledge US$500,000 in security assistance.